Whether you are flying from East or West, we are on the way between you and your destination. Helsinki Airport offers a centrally located secure and neutral base for you and your aircrafts. 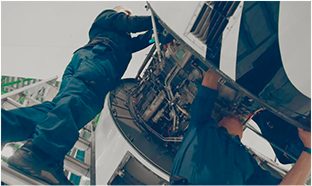 We have the pleasure to announce, that our maintenance capability (EASA Part 145) has been extended to Falcon 8X. This aircraft is the new flagship from Dassault Falcon.